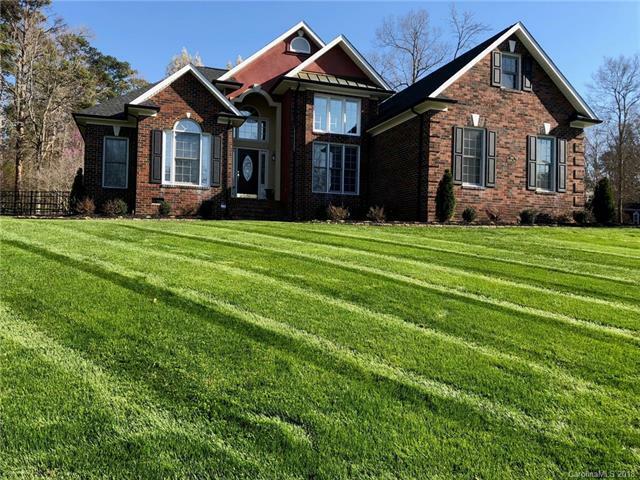 2701 Kilkenny Court, Matthews, NC 28104 (#3413947) :: Robert Greene Real Estate, Inc.
Beautiful Open Brick Home in the much desirable neighborhood of Shannamara. This home has amazing features and options. Well maintained and shows like a model. Beautiful Landscaping welcomes you this slice of tranquility. This home has in ground irrigation, decorative lighting, fenced rear yard, screened in porch and side load garage. All rooms are open and airy, tons of closet space. Hardwood flooring everywhere, Stunning Kitchen, Stone Fireplace in the great room. This home has been meticulously maintained, fresh interior paint, all new light fixtures. Offered by T-Rex Realty. Copyright 2019 Carolina Multiple Listing Services. All rights reserved.